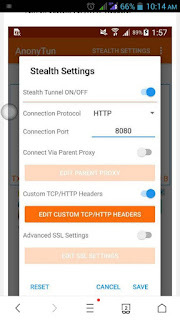 AnonyTun VPN for me has proven to be the best VPN to use for the Glo free browsing cheat 2017, with AnonyTun VPN of course the speed is faster, less/no disconnects, connects in a jiffy and minimal battery consumption. For those asking, what if my Glo SIM is new or old, what if my Glo SIM is a 4G LTE enabled SIM, that can the Glo cheat work for it. Some even asking that do i need to send the PAYU text message. 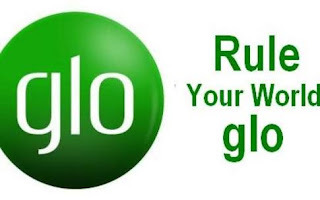 Having even heard many saying too that, well this Glo cheat is not just working for me oooo, some hint that mine keeps disconnecting. This Glo settings for AnonyTun VPN i will be dropping below is gonna solve all those issues, so expect with this new Glo free browsing cheat settings we have modified, faster connection, more downloads and uploading time, and enjoy streaming YouTube more. The settings is below, but before that i want to let you know that its important you have a strong Glo network where you are, and that this new settings isn't determined by whatever type of Glo SIM you use, bec7it works for all including 4G LTE enabled Glo SIMs. First of all, you need to download AnonyTun VPN, Click Here, if you don't have it. Please use this version, 1.3(4) do not update the application please, download the one i am recommending for you only. AnonyTun VPN - Click Here to download! The AnonyTun VPN should now connect, connection takes a few seconds.